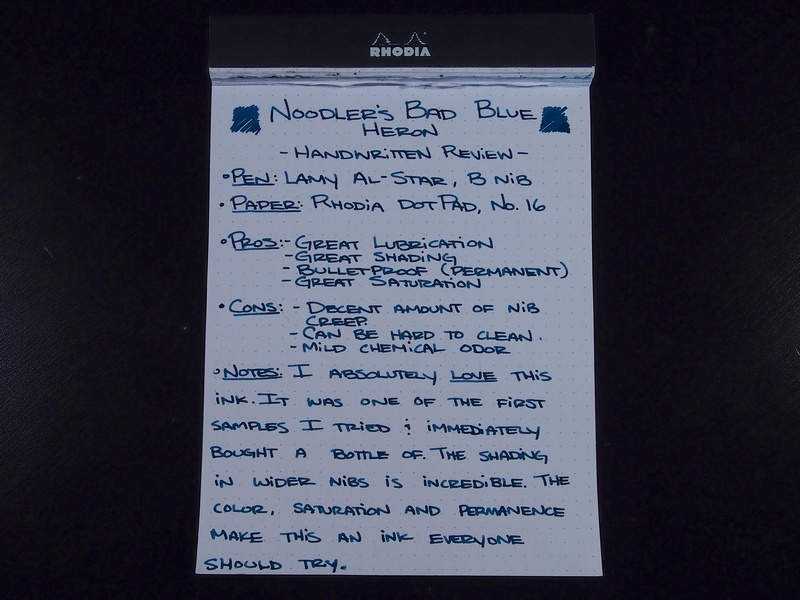 Notes: Noodler’s Bad Blue Heron was one of the first inks I tried out when I got my first Safari. The ink introduced me to what a fountain pen ink could really be. 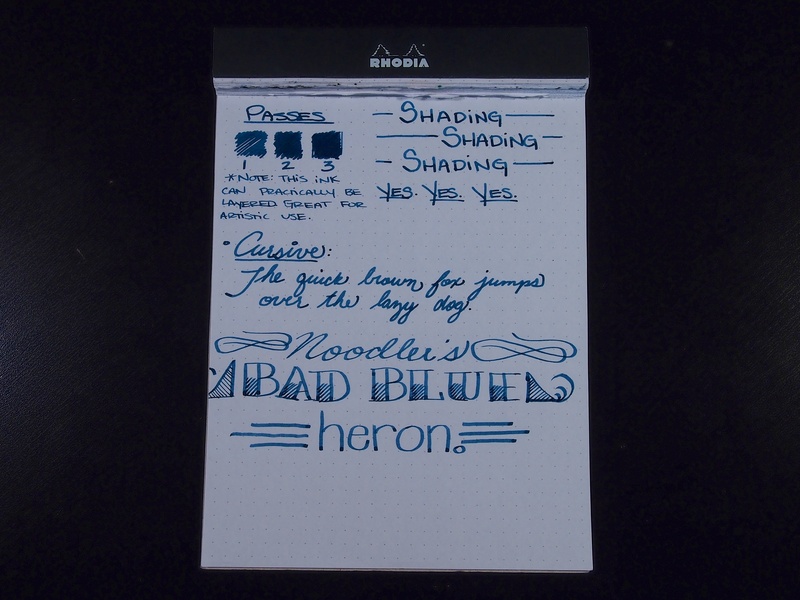 The ink exhibits great shading properties, it’s practically bulletproof, and is a unique shade of blue. 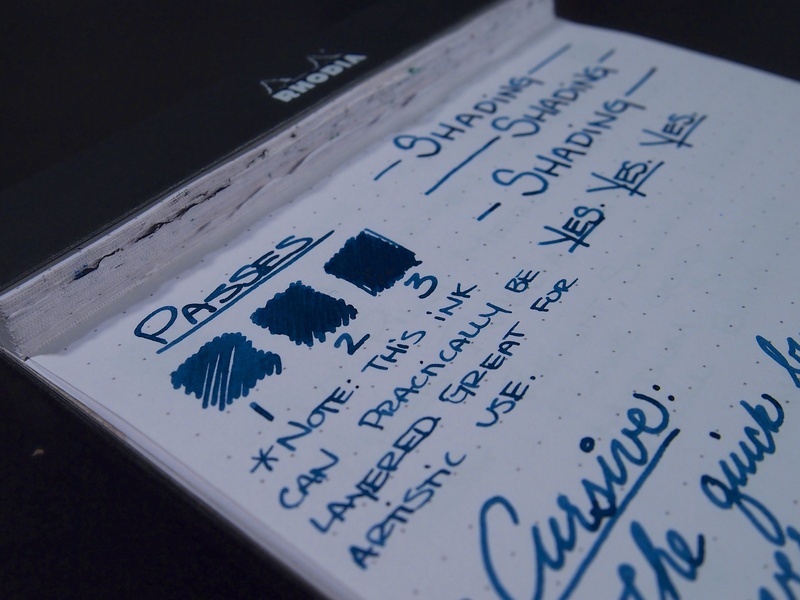 It’s borderline blue-black, but with the shading, there are lighter highlights that stand out, making this ink a pleasure to look at. Bad Blue Heron not only looks great, but it is an absolute pleasure to write with. This is probably the best flowing and the best lubricated ink I own. 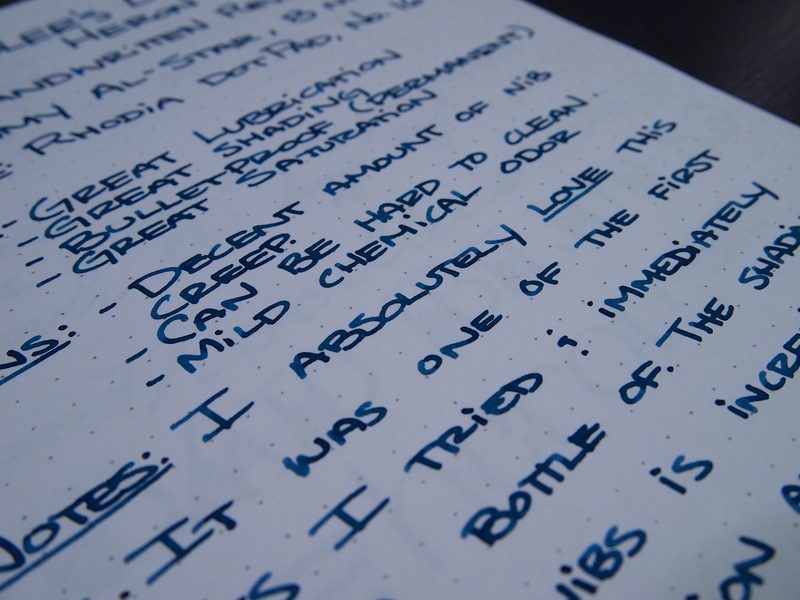 It’s a dream to write with in my Binderized Pilot Vanishing Point Medium Nib, and can be seen in that review. It is usually in at least one of my daily carry pens as well. The only “downside” to this ink is that with most of the pens I have tried it in, there is a considerable amount of nib creep. This bothers some people, but I don’t mind it. Other than that, there isn’t really anything else I can say that’s bad about this ink. If there was one ink I would recommend, it would be this one. 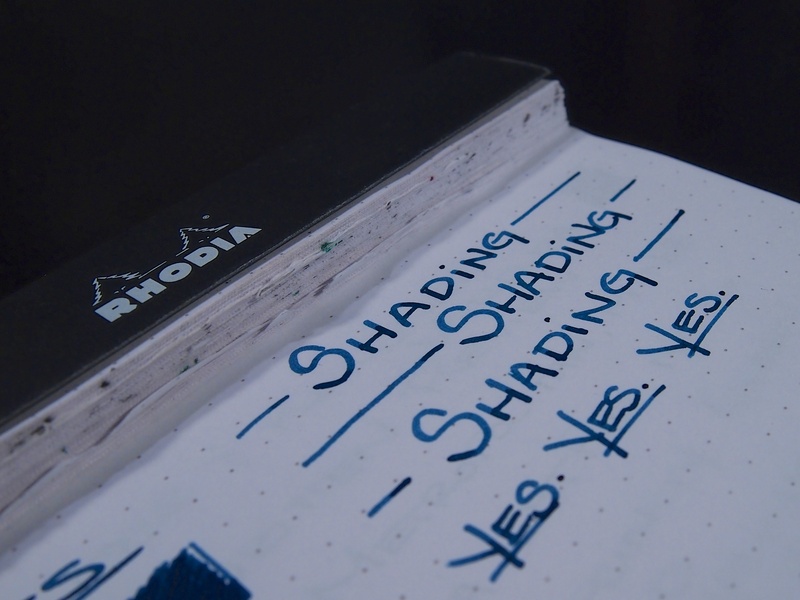 The shade of blue is perfect for everyday writing, but the shading properties make it less boring than a normal blue. Definitely add this stuff to your next sample haul. Enjoy the reivew, I really love this ink. The Lamy broad nib + Noodler’s BBH = heaven. It lays down a nice, wet line with great shading. This ink can practically be layered. It’s fun to draw with, it gets darker the more you use. New Year, New Content, and Thanks! Submit Your Weekly Pen, Ink, and Paper Loadout! Well your review has decided it for me. I have had this in my wish list for months but hesitated. Would it be just another ordinary blue? Apparently not. Thanks for sharing! Thank you for reading! It’s really a great ink. The lubrication is great, making any nib feel nice and smooth. The ink is a little bit more blue-grey than my pictures show. Definitely not an ordinary blue, I’m sure you’ll love it. Would you be able to say how close is it colour-wise to either the Legal Lapis / Legal Blue? Unfortunately, I don’t have any experience with either of those. I think of it as a blue-black, but instead of black they used a dark grey. Sorry I couldn’t be of more help! Hmmm, well, definitely seems like it’s worth a shot the next time I need to restock. I mean, I love those two, but being exclusives to the store they’re sold at is kinda a pain. Thanks!  I would definitely recommend checking it out. It’s also nice to have a variety of places where you can order from. 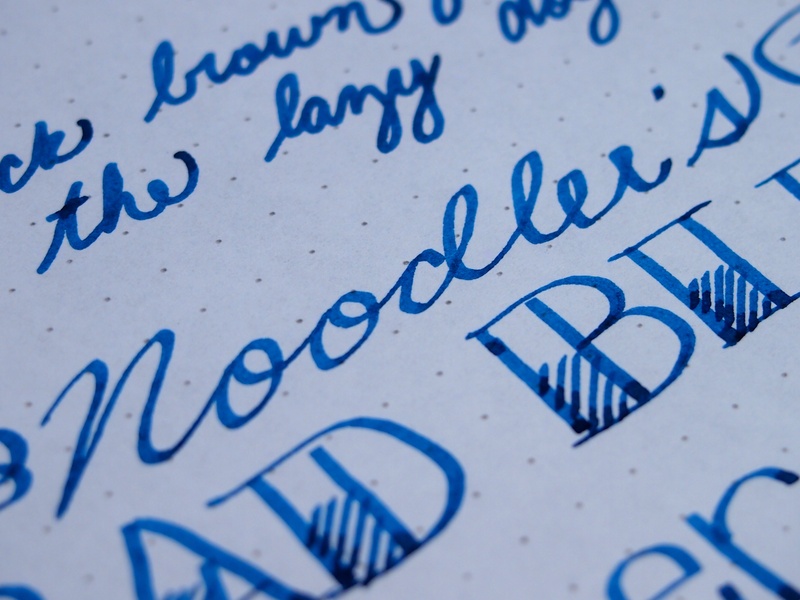 Have you tried Noodler’s Bad Belted Kingfisher? I like the shading of the bad blue heron in your review, however I’m interested to see how you think it compares to the other. I have tried it, but it was a long time ago. I don’t remember the two being drastically different from each other though. I’ll dig up the sample and review it though.